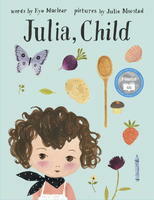 A Few Bites, by Cybele Young, is a sweet story about Viola coaxing her younger brother Ferdie to finish his dinner. Young's illustrations start out as small, realistic pen drawings of the kids at the table, with Ferdie preferring to look for a lost toy rather than eat broccoli. But as Viola spins a prehistoric tale, the illustrations explode and the siblings fuel up with green veg in order to outrun some dinosaurs. Carrot sticks then become orange power sticks to foil the Zyblots and Viola and Ferdie become fish in a kitchen seascape. In a lovely, realistic ending, Viola loses steam, unable to come up with a creative way to entice her brother to eat the last few bites. Age 4+. 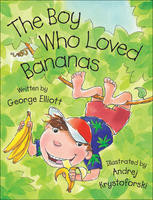 Kids go bananas for The Boy Who Loved Bananas, by George Elliott, illustrated by Andrej Krystoforski, partly because of the funny illustrations. Matthew's fixated on the monkeys at the zoo and eats so many bananas he turns into one. He's a well-adjusted monkey, according to all the specialists his concerned parents take him to. He's having so much fun, in fact, everyone at school starts eating bananas, including the principal, hoping for the same fate as Matthew. But monkey-boy has already moved on to peanuts, impressed with how strong elephants are. 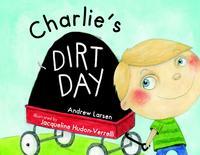 A story with patterned elements for age 4+. 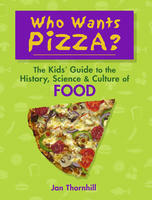 For the non-fiction crowd, there's Who Wants Pizza: The Kids' Guide to the History, Science and Culture of Food, by Jan Thornhill. Thornhill takes advantage of our innate love of food by providing a comprehensive lowdown on food in bite-size (sorry) pieces. This book covers some of the Grade 4 Social Studies curriculum by providing a timeline of animal domestication and seed planting in Early Societies. Did you know pigs are bred selectively in terms of colour to help make them easier to find when they escape? The book also touches on concepts of stewardship and sustainability in the Grade 5 Social Studies unit, conveying how food has changed over time, and how food production technologies have impacted our environment. Did you know there's a vault in Norway containing half a million seed varieties in order to sustain diverse crops? Also for the grade 4+ non-fiction reader is The World in Your Lunch Box: The Wacky History and Weird Science of Everyday Foods, by Claire Eamer, art by Sa Boothroyd. 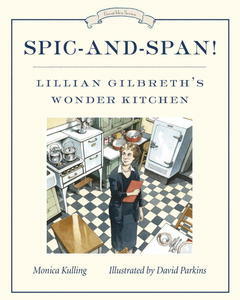 It investigates the contents of an ordinary lunchbox over the course of a week. For instance, the popularity of pizza spread around the world because soldiers stationed in Italy during the war, came home demanding what they'd eaten abroad. Other interesting topics include: how seedless grapes are possible; why onions make you cry; how emulsion works to create mayonnaise; and how to ripen fruit by putting it in a paper bag with an ethylene gas-producing yellow banana.